Japan leads the pack when it comes quirky snacks and eccentric treats. Many times I've found myself scratching my head wondering if we really need another rendition of sweet potato flavoured KitKat or a new brand of plum flavoured potato chips. 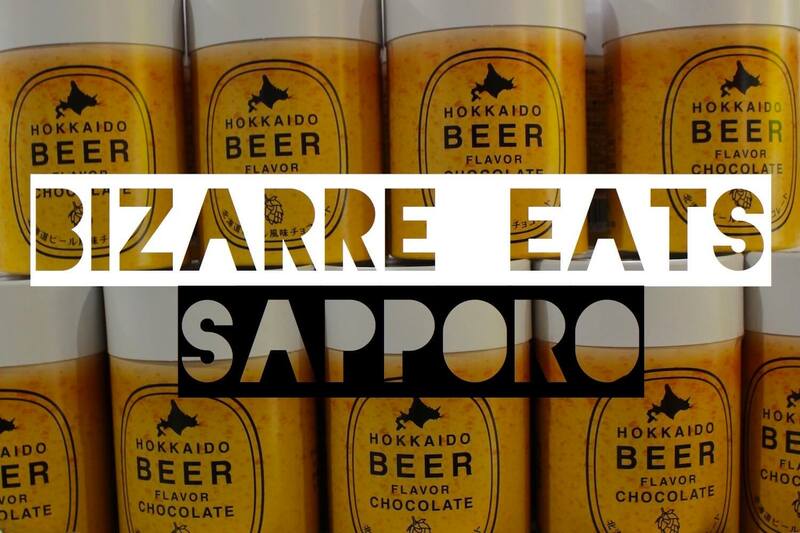 I enjoyed many appetising dishes from Sapporo, but I also stumbled upon a few bizarre treats. Living in Japan, this is nothing unusual where caramel covered potato chips are considered a normal treat and mixed almonds and anchovies are a party snack. The first one I found was at the top of the Tower of Sapporo. Everyone enjoys flavoured chocolate right? (My personal favourite is strawberry chocolate!!) But no, the Japanese take it a little further and add their own spice to the mix. The three flavours of chocolate below is miso-ramen chocolate, curry chocolate and beef bowl chocolate (WUT?!?!). These are all dishes native to Japan. I decided to take the plunge and buy a beef bowl chocolate. I was expecting the worst, but honestly, it wasn't half that bad. The taste was quite subtle, but the flavouring paired well with the dark chocolate. It reminded me of chilli chocolate. I wonder if chilli flavoured chocolate is considered an eccentricity in Japan? Japan is home to one of the most recognisable cuisines in the world. Each region offers specialties unique to that province. 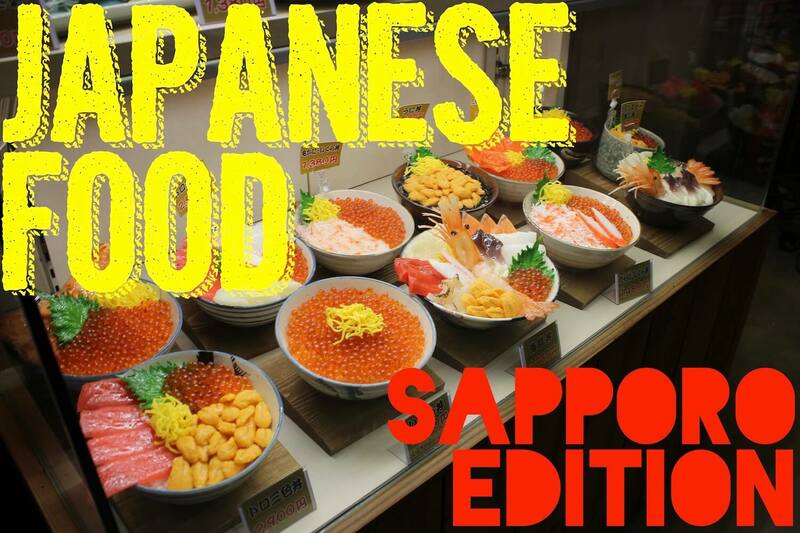 Sapporo, located on the coast of Japan's north island, offers a cuisine rich in the freshest seafood of Japan. After an amazing adventure in Sapporo, I decided I needed to make a post all about the tasty food I enjoyed. I got this dish at the Sapporo Curb Market. It is a taraba ikura don, or in english, a salmon roe and crab bowl. This is a very typical dish you can find anywhere in Japan, particularly in Sapporo because Hokkaido has a large fishing industry. Under the seafood topping is a bowl of rice. Crab is pretty common worldwide, but salmon roe used abundantly in a dish is something I've only ever seen in Japan. Situated on Hokkaido, the northernmost island of Japan, Sapporo felt like a smaller, laid back version of Tokyo. But don't let its size deter you. 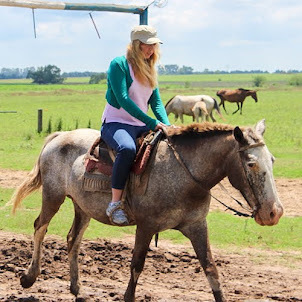 This city is jam packed with plenty of fun activities. Wanting to get an escape from the big city for a few days, myself and a few friends decided to visit Sapporo. I've never been to Hokkaido so I was pretty excited to say the least. Its a small city, with a population less than one tenth the size of Tokyo, so the four days we spent there was an ample amount of time to see everything the city has to offer. The atmosphere was friendly and laid back, and it felt almost like a miniature version of Tokyo. 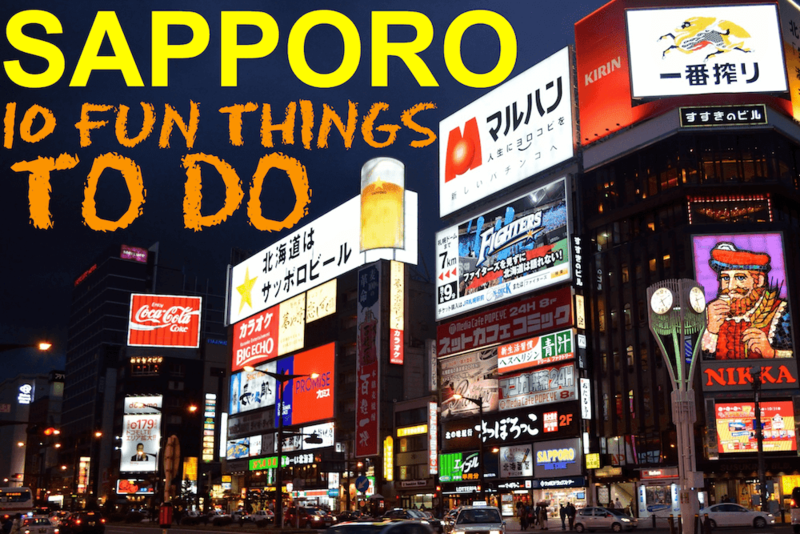 So here is a list of my 10 favourite things we did in Sapporo!